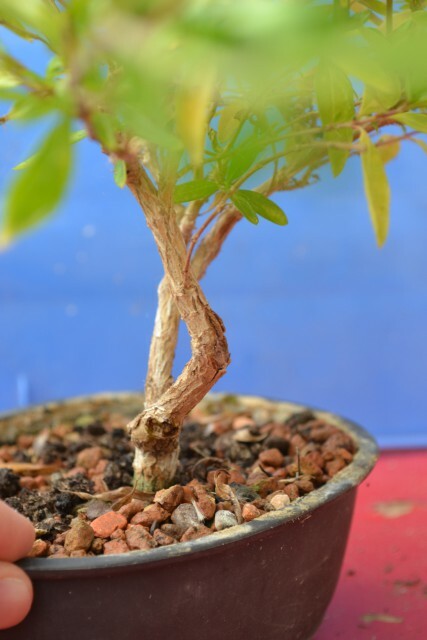 how to stop the seemingly terminal decline of this young serissa foetida? Think I maybe went too far with the rootpruning of this! 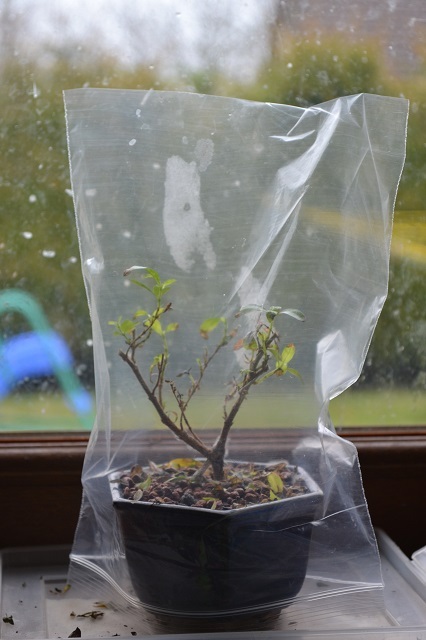 Leaves curling and turning black/dropping so I’ve put it under a plastic bag to improve humidity. No signs of improvement yet. 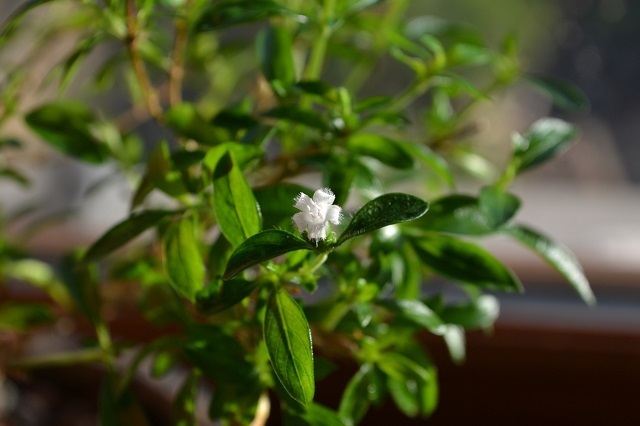 The recent turn in cooler weather hasn’t been good for my Serissa Foetida (Tree of a Thousand Stars) which normally stays in the house but over the summer I like to put it in the greenhouse to get more natural light and sunshine. It’s about four years old and grown from a cutting off my first tree that my wife bought me so it has sentimental value, especially since the parent tree died soon after I was given it! It had lost a lot of its colour and leaves were starting to drop. I hadn’t pruned it all this year. In order for it to resume its usual place on the windowsill I needed to trim it so I decided to make a few styling decisions now. 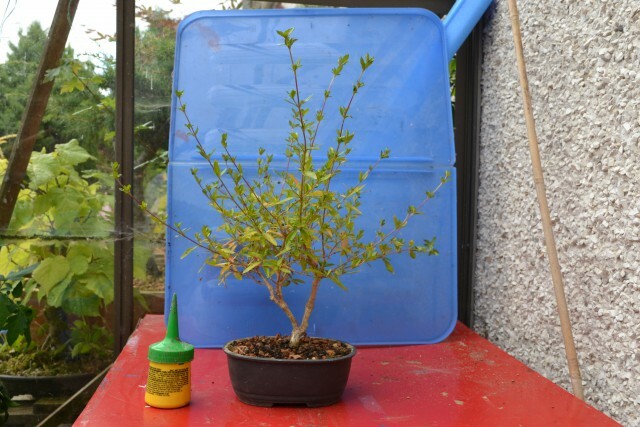 As you can see, up to now I have grown this with two trunks and have shaped by pruning alone. However, the thicker of the trunks (on your right) had two significant cut scars and also a 90 degree bend in it which always bothered me. The rest of the that same trunk was also very straight. 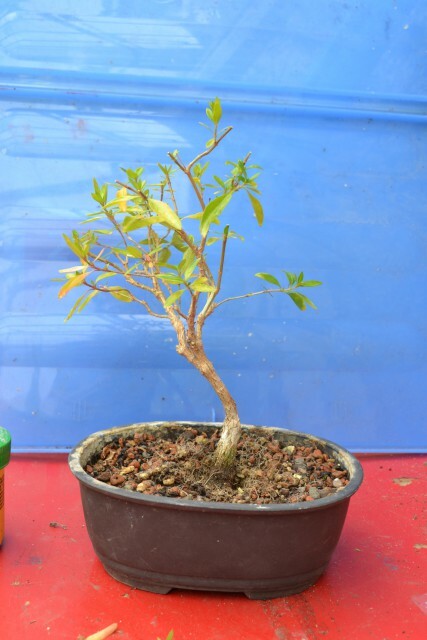 So I decided to cut it off to create a single trunk tree which would display good taper and gentle movement. 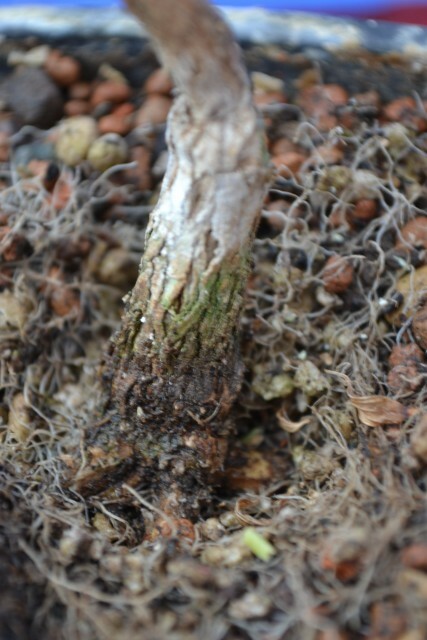 Being developed from a cutting, I knew that the nebari would be promising and before I made the chop I checked to see that the new front I was thinking of would display this. A concave cut was made slightly bigger in order to hopefully improve the transition from trunk base to the thinner part of it. As for the rest of the tree, dead and yellow leaves were removed and elongated branches cut back to the first or second pair of leaves. Any junctions were reduced to just two shoots. 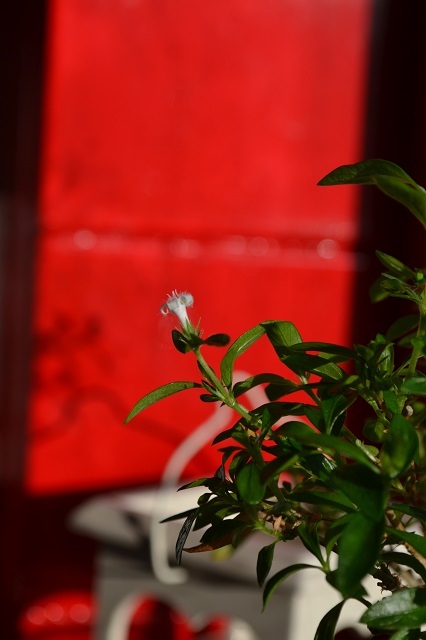 I’m pretty happy with the big change in appearance – the tree can now return to the windowsill in the kitchen and enjoy a return to suitable temperatures. I’ll give it a balanced feed to encourage the new growth and keep it tightly clipped until Spring and then assess how it’s doing. It’ll need wiring at some point before the next repot.